With the rise of technology many parents worry that their children don’t play outdoors as much as they used to. Ironically, children today would rather tend to a virtual garden on a Nintendo DS than step outside and experience a taste of the real thing. 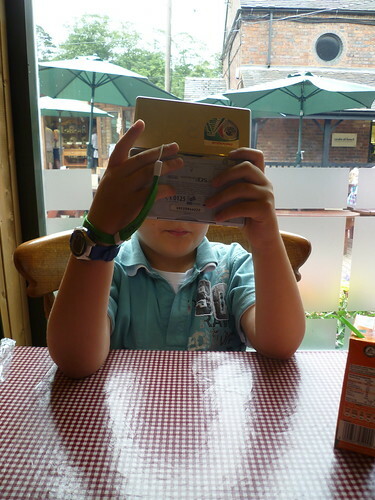 The trick is to catch them early before they’ve discovered the addictive power of gaming media, however, if this time has already passed, don’t despair there are ways to help them get some fresh air. If your children are in love with video games, start by introducing ones relevant to gardening. There are many simulation games such as Animal Crossing, Gardening Mama and even Pet Society that allow children to purchase seeds, plant them and wait days or weeks for them to grow. Then ask them what they’ve learned. See what they’ve been growing online and buy seeds or plug plants, then act a little dumb and let them lead the way, telling them that you would like them to show you how to grow a certain crop as they’ve gained experience from the game. Many children will be very happy to show off their new found skills, they will happily plant pea seeds and may even cover with a layer of compost before watering them in. Hopefully, as they grow, they will be more attracted to a plant they can touch and feel rather than a virtual seedling. gardening cool again. There are a variety of ways you can do this. Let them take pictures, videos or record a journal where they can share their adventures online. Allow them to shop for seeds online that are different. Give them a chance to make money by telling them they can sell half of the produce they grow online, making it an ecommerce venture rather than just a family hobby. Create a cosy area where they can relax with a can of coke and their laptop on a mild day, just inches from their very own vegetable patch. This could be a wide bench with big cushions on, some comfortable conservatory furniture or even weather resistant beanbags. Think slouching rather than sitting up straight as they’d have to on a patio set or picnic table. Instead of buying them the latest PS3 game, invest in some tools such as their own trowel, spade or if trusted their own secateurs. At any age, kids will feel more in control if they have their own special set and as their interest increases they can build up their collection including the latest inventions that harness modern technology for the garden. If none of the above work, you can simply unplug the router or hide the power cables to each device, letting them know they can earn game time by gardening. This may however mean you have some sulky company for a week or two until they catch the gardening bug!